Sun’s out, toes out! 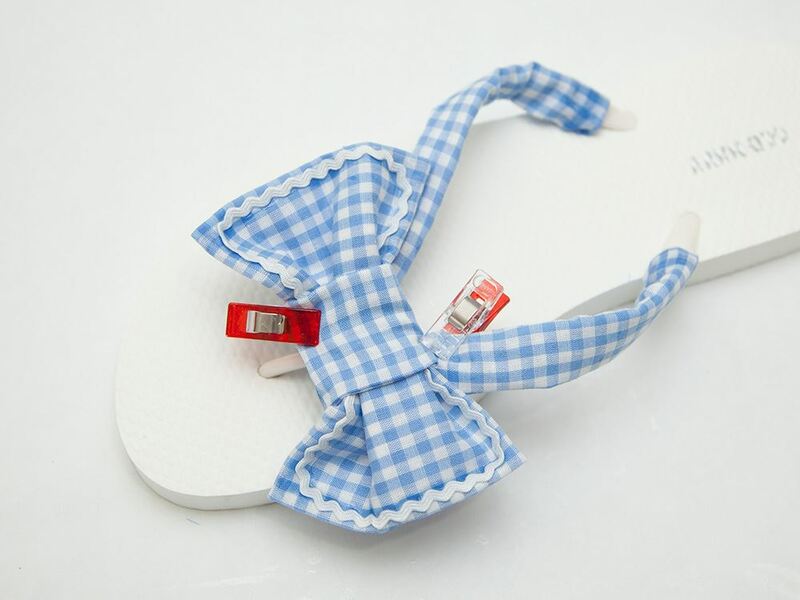 Warmer weather means it’s time to show off that pedicure with some cute new flip flops for summer! 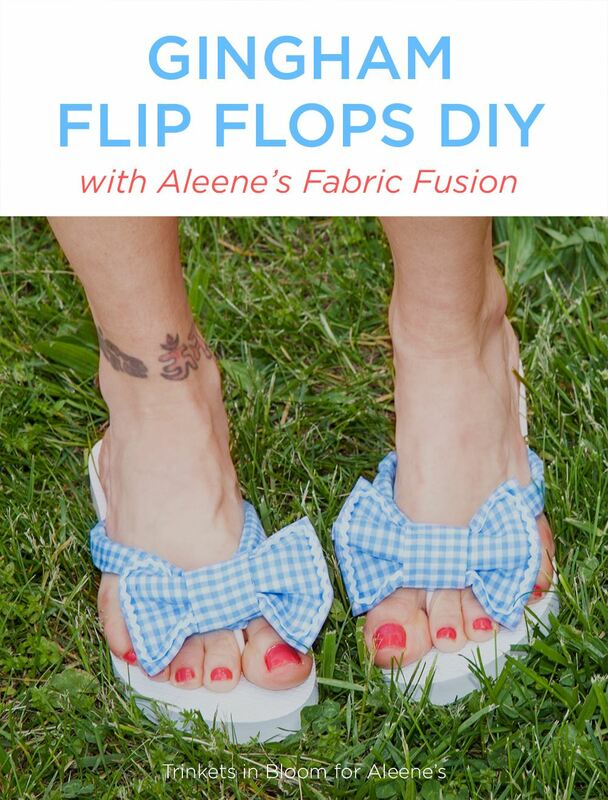 For this project, we’ll make some cute bows in gingham fabric and use Aleene’s Fabric Fusion so there’s no sewing involved! 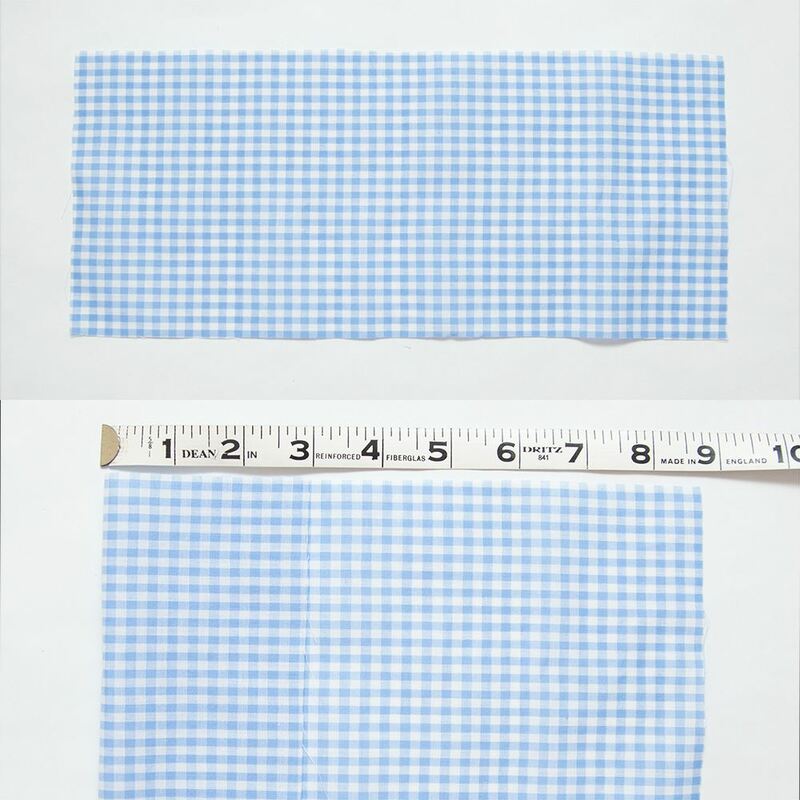 Cut your fabric into 4 strips 5 inches wide by approximately 18 inches. 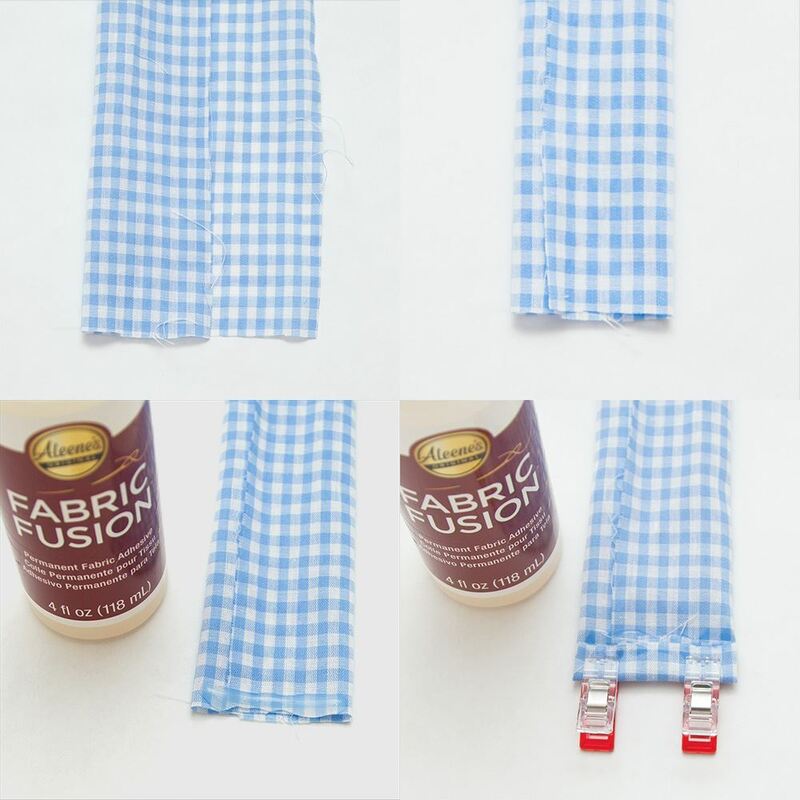 Using one strip of your cut fabric fold it into thirds the long way, add some of your Fabric Fusion along the edge and fold to make a neat hem. Use clothespins to hold in place until it will stay pressed together without being held. 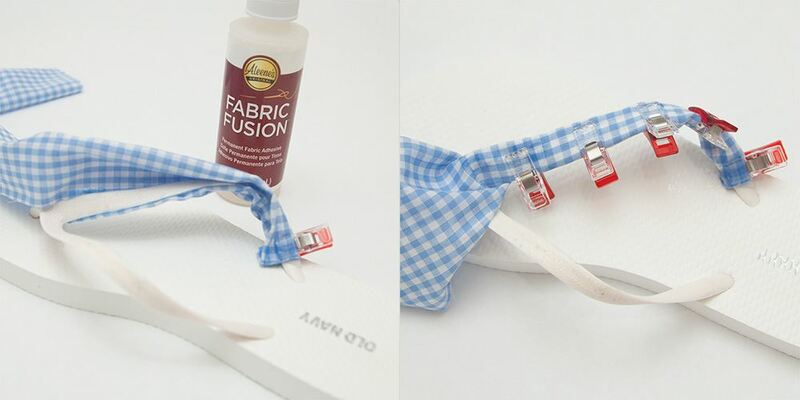 Starting at the base of one side of a flip flop, wrap your fabric around the strap and use clothespins to hold in place. 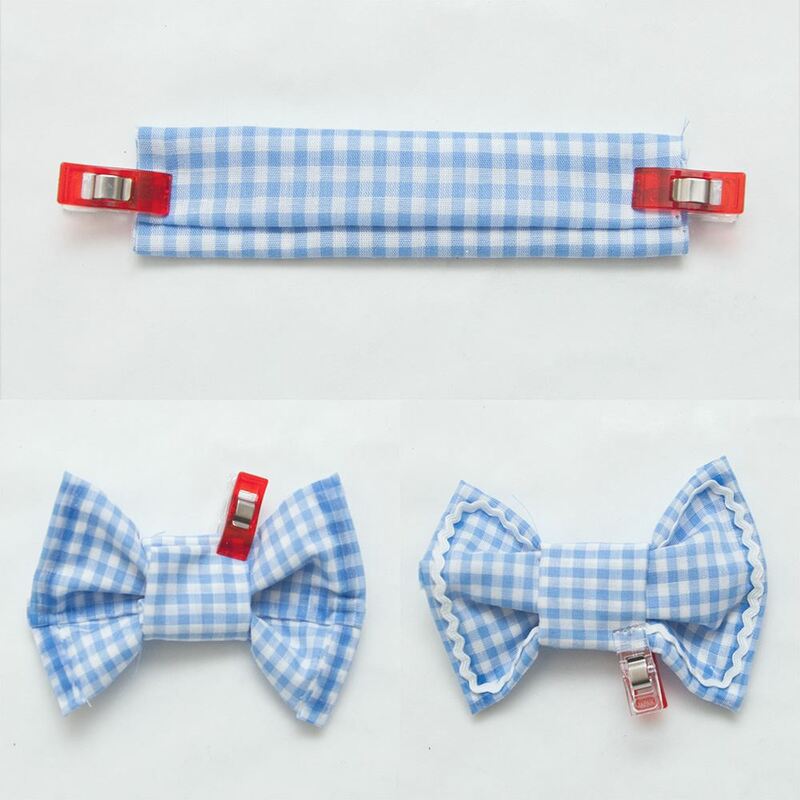 Keep adding glue and wrapping the fabric around the straps until they are covered. When you get to the other side fold a hem like you did in the beginning and wrap it around the strap holding it in place with Fabric Fusion and a clothespin. 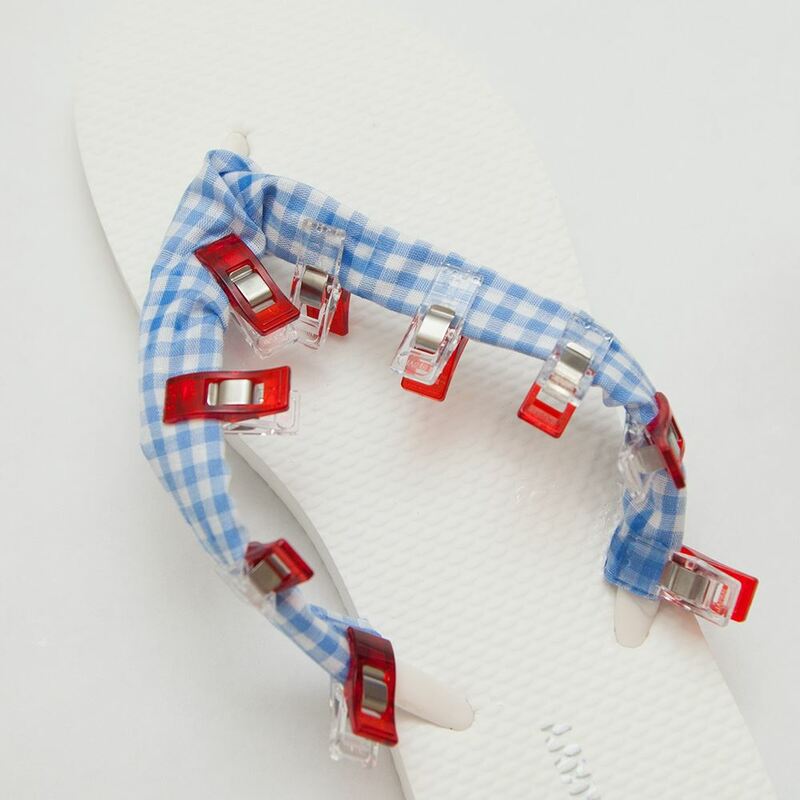 Do this for both flip flops. 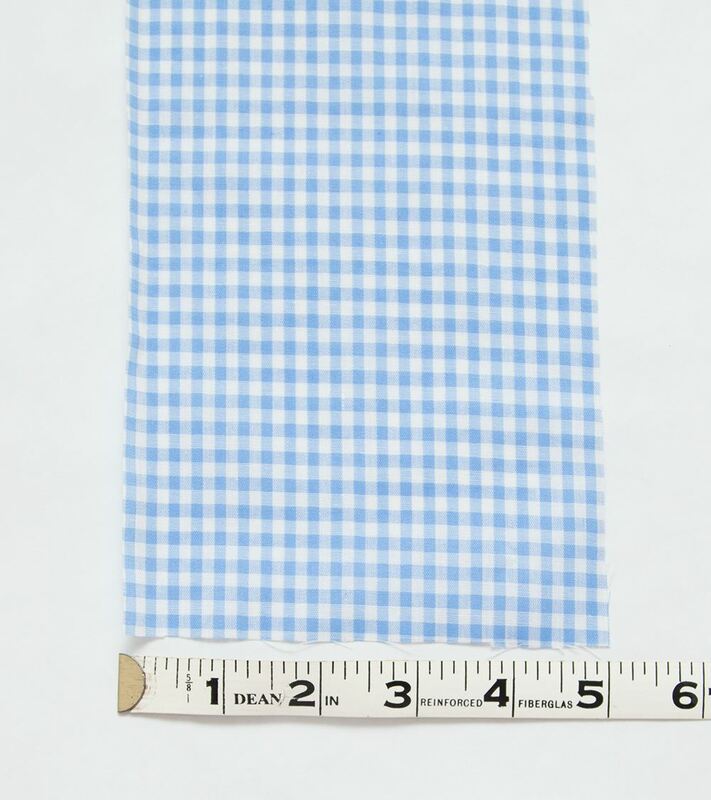 With the remaining two strips of fabric cut them down to 5 inches by 12 inches. 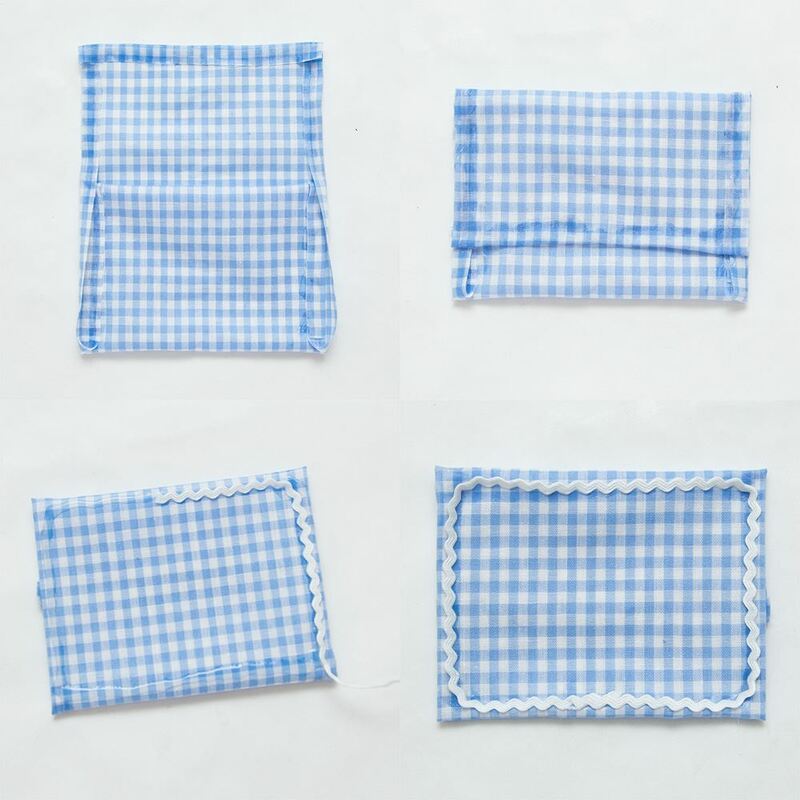 Lay your first strip flat and fold it over about 3 inches, do this two more times, you will have a small amount of fabric left. 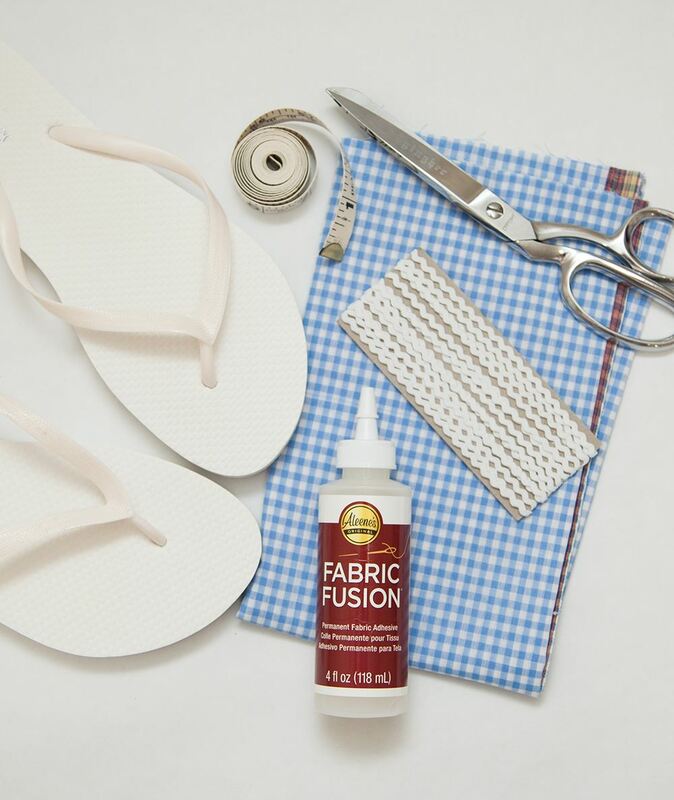 Add Fabric Fusion across the open sides to make a clean hem, fold, and press together until it holds. 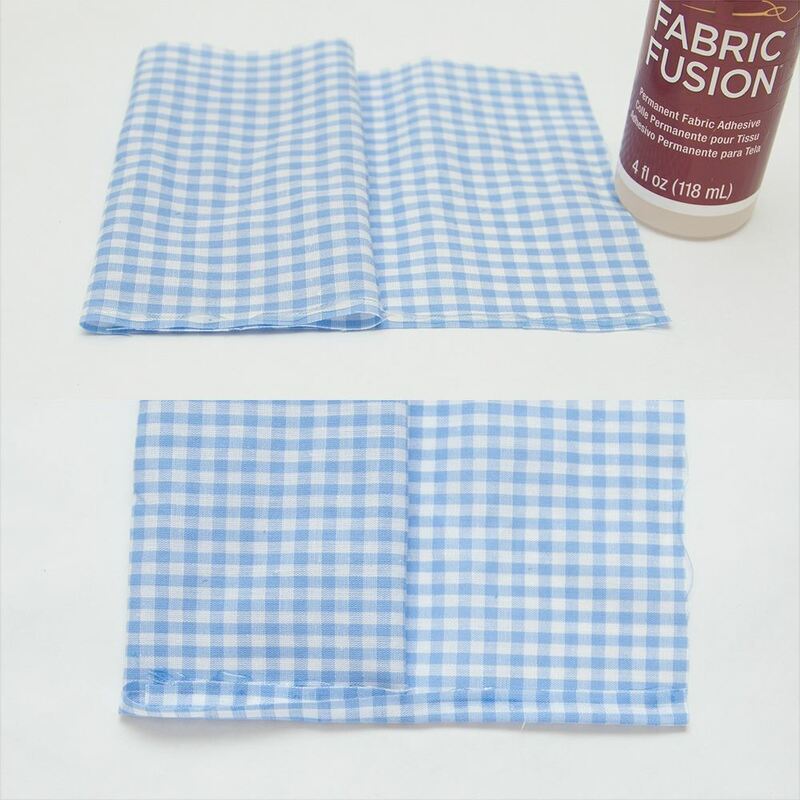 Add Fabric Fusion to the top raw edge of fabric, and fold a hem. Add more Fabric Fusion and fold this last side over and hold in place. Turn your folded rectangles of fabric over to the top side and add your rick rack trim by using Fabric Fusion to glue it to the fabric. I used a piece of fabric 5 by 6 inches and folded it a few times until it was about 1 inch wide. Wrap it around your rectangle squeezing it into a bow shape. Fold the edge over and glue it down. 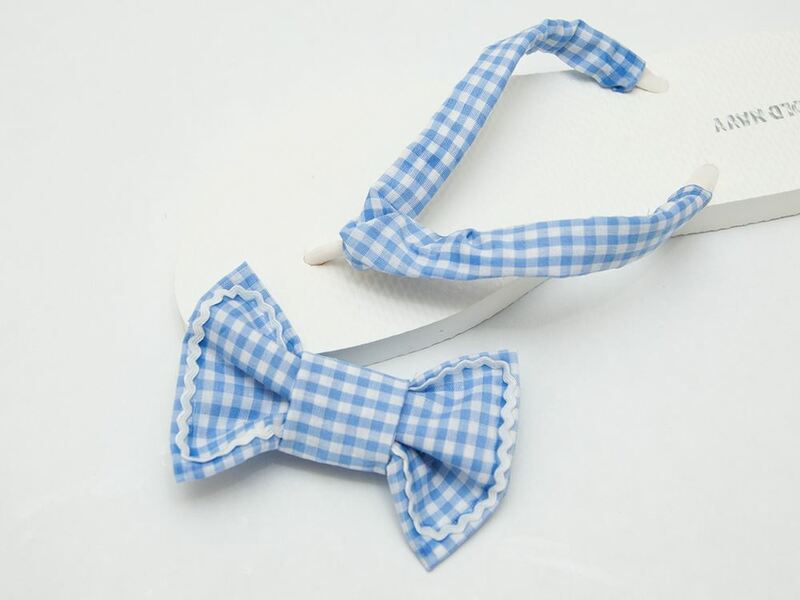 Glue your bows to the flip flops and let dry.